Seamheads.com: This year marks your fifty-sixth consecutive year you have been associated with a professional club. Is that a record of sorts? Dave Rosenfield: I do not know if it is a record but fifty years with one team, the Norfolk Tides is a lot. 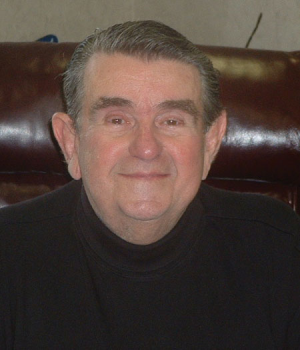 I arrived here in 1962 and have served as General Manager since 1963. Seamheads.com: Where else did you work, what team were you GM for? Rosenfield: I have only worked in three places: five years in Bakersfield, CA, one year in Topeka Kansas, and the rest in Norfolk. All as General Manager. Except for my first year here, I did not have the GM title. Seamheads.com: What was your first job working in baseball? Rosenfield: My first job in baseball in 1956 was with the class A Bakersfield Boosters, the worst name in baseball history. It was a brand new ownership and that was their corporate name, that is what they called their team.Â I was their GM; I coached third half the time and played a game or two. I was a catcher. Seamheads.Com: Did you play professional ball? Rosenfield: I played one year pro ball at Stockton, California and Eugene, Oregon. I never played above Class A. I did not play a lot, and did not play well, I decided I was not going to be a Major League player and went back to school. I always played catcher. Seamheads.com: Did you play baseball in high school or college? Rosenfield: I went to UCLA, played there and got my degree in language arts and that was my seventh or eighth major. I changed majors every ten minutes. Seamheads.com: Do you speak a foreign language now? Rosenfield: I took a year and half of Spanish; I can understand but cannot speak it. Seamheads.com: While in college, what career were you considering? Rosenfield: Ballplayer. I started college at sixteen and played freshman ball there. Seamheads.com: While in UCLA, did you study Sports Management? Rosenfield: No, it had not been invented yet. Seamheads.com: What are your responsibilities for the Tides? Rosenfield: I handle the entire end of the business. Tickets, advertising, stadium management and contract negotiation with sub-contractors. Seamheads.com: What is the economy like in Norfolk? Rosenfield: It is improving a little. It has been a rough two or three years. Seamheads.com: Where were you born and raised. Rosenfield: I was born and raised in El Paso, Texas and moved to Los Angeles when I was five. Seamheads.com: Who did you root for as a youngster? Rosenfield: I was a big Hollywood Stars fan and lived near the Hollywood ballpark.Â I saw my first professional ballgame in 1939. The Los Angeles Angels won their first nineteen games of the season. They were referred to by the newspapers as the Yankees of the West. The first game I ever saw was their game twenty, and they were beaten by San Diego.Â The star of the San Diego team was a little guy who played some in the Big Leagues. His name was Dominic Dellasandro. Seamheads.com: What was the first Major League game you saw? Rosenfield: It was opening day when the Dodgers moved to Los Angeles in 1958. They played at the LA Coliseum at the time and beat the San Francisco Giants 6-5, before a crowd of 78,000. Seamheads.com: What do you love the most about your job with the Tides? Rosenfield: The fact that it is different at different times of the year. It is never boring. Part of the year you are selling, dealing with the fans, and the players and the press.Â Everything has been fun. A TV reporter once asked me, â€œDo I still get excited on Opening Day?â€ I told him, â€œthe first time I am not excited on opening day, that would be my last opening day.â€ I love the game. Seamheads.com: When did you first start following the game? Rosenfield: I started listening to the 1938 World Series when I was seven years old.Â My dad was listening to the Yankees vs. Cubs while I sat on the floor next to him asking questions, I had no idea what it was about. I saw my first game the next spring and have loved baseball ever since. Seamheads.com: What is the most difficult part of the job? Rosenfield: I never thought any of it was difficult! This has never been like a job.Â It is fun! Seamheads.com: What is the most memorable or outstanding memory you have with the Tides? Rosenfield: I may be the only person who has ever been involved with building two ballparks in the same city. The first was in 1970, Metropolitan Memorial Stadium in Norfolk. We played there from 1970 to 92. The park was leveled and no longer exists. 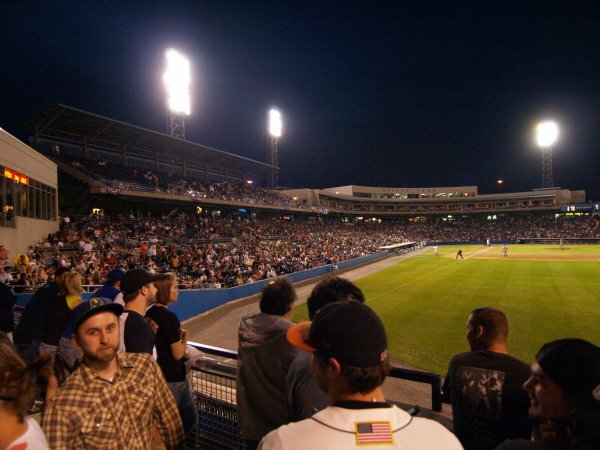 Our new park is Harbor Park, (a) built and opened in 1993, and is our current park.Â When I first arrived here, we played in Portsmouth, Virginia at Portsmouth Stadium and then we renamed it Lawrence Stadium. We moved to Met Park in 1970. Seamheads.com: At the Baseball Winter Meeting in Anaheim, CA in 2004, you were named â€œThe King of Baseballâ€. (b) What is that about? Rosenfield: They honor somebody who has been around a long time. That was me! If you hang around a long time, you get to be King. Seamheads.com: You were a four-time winner International League Executive of the Year. What years were those? Rosenfield: I won those awards in 1975, 1982, 1987 and 1993. 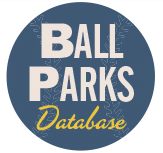 Seamheads.com: Do you have a favorite baseball movie? Rosenfield: Yes, Pride of the Yankees, the Lou Gehrig story. I almost played Lou Gehrig as a kid. I was raised in Los Angeles; a call was put out for kids who played baseball. Over 500 kids showed up. They weeded out about four hundred and fifty and called back about fifty. I was included in the group. We played some ball and they talked to us.Â It got down to two kids. My buddy and I went to the same elementary school but he got the job. His name was Douglas Croft. I could have been a star but it was not meant to be. Seamheads.com: What do you do to relax at days end? Rosenfield: I watch TV. I like detective stories, I watch Matlock a lot, Everybody Loves Raymond and Mash. My name once appeared in a Simpsonâ€™s episode. One of the writers on the show Ken Levine was a broadcaster for us for a while. He used my name on an episode in which Homer got a job as a mascot for a Major League team and he was terrible.Â He got called into the General Managers office and on the door it said, Dave Rosenfield. All you could hear was lots of yelling and screaming. Everytime it runs, I get a long distance call from someone who saw it. Seamheads.com: What are your thoughts on instant replay in the Major, not counting ball and strikes? Rosenfield: I think on certain things, absolutely! It is important to get it right.Â It is so easy to review a lot of plays because every game is on television, on air or in house. An official could review close plays. It is important to get it right. Seamheads.com: What are your thoughts about aluminum bats as used in college baseball? Rosenfield: I am not an engineer but the thing I do not understand is how we can send men to the moon in a spacecraft that withstands five million degrees on entry and yet we cannot make metal that has the same properties as wood.Â If we could use metal bats that would not kill someone, it would be a huge savings.Â Good metal bats are up to $300.00 each and you would only need five or six bats. With balls coming back so fast to infielders, you would almost have to give them combat pay! Seamheads.com: What GM in either the Majors or Minors do you admire? Rosenfield: The most capable, versatile, highly qualified GM that has ever been around is Frank Cashen. He was GM of the Baltimore Orioles and the New York Mets in their heyday.Â He was an attorney and sports writer; he ran a racetrack and understood the game. He was one of the last true General Managers. GMâ€™s today are not General Managers. They are directors of player personnel. Most GMâ€™s today have little or nothing to do with business. I am referring to Major League GMâ€™s.Â They handle player contracts, etc. Television contracts, concession contracts are handled by business people. Frank Cashen could do it all. He is retired now. Seamheads.com: What do you do during the off â€“season? Rosenfield: I get ready for the next season. Something else I do is make the International League Schedule. 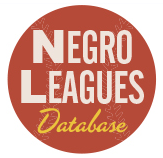 I have made league schedules since 1963.Â It is a complex ordeal. Seamheads.com: How did this come about? Rosenfield: I got started in 1963 while in the Carolina League. I was new in the league and as you know, it is on weekends a team draws the largest crowd. We went to a league meeting and the schedule was handed out. I noticed I had seven weekend dates while the gentleman who made the schedule, his team had twenty-seven.Â The president, a Southern gentleman asked if anyone had any comments. I raised my hand and said â€œsir, this does not seem fair.â€ He asked me if I could do better and I endeared myself to him by saying, â€œa monkey could do better.â€Â â€œYou got two weeks to make a scheduleâ€, he said so I went home, never having done one and put a schedule together. I had only been in baseball at that time for seven years. I brought it back to the next meeting and it was adopted. I have made one ever since. 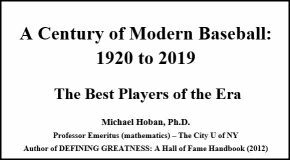 Seamheads.com: Is it true you are in the International League Hall of Fame? Rosenfield: Yes, I was inducted in 2008 joining Mr. Frank Verdi who managed the Tides for four years. He was a dear friend and I am proud to join him in the Hall of Fame. He played one game in the Major Leagues. Frank played and managed in the Minor Leagues many, many years. He managed five different teams in the International League. I am proud to be in the Hall of Fame with him. (a)	Harbor Park, with its outstanding view and sound design, is one of the finest baseball facilities in existence. The ballpark is located in downtown Norfolk on the Elizabeth River, and was opened in 1993. 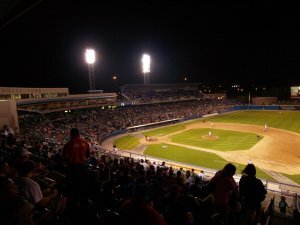 The Tides christened their new home on April 14th of that year with a 2-0 victory over the Ottawa Lynx.Â The Park has a nautical image with shipyard crane-like light towers and arrays of colorful flags with a brick exterior.Â The facility is owned by the City of Norfolk and the Tides have a 20-year lease. 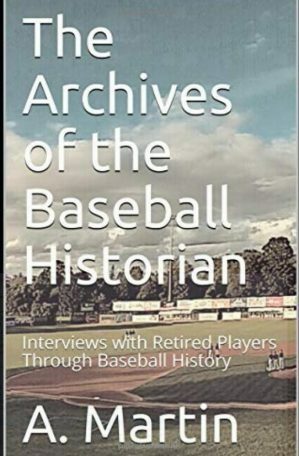 (b)	The â€œKing of Baseballâ€ is a long-standing tradition in which Minor League Baseball salutes a veteran from the world of professional baseball for long-time dedication and service to the game.